One party. Five friends. One unexpected guest. It’s Olivia’s seventeenth birthday party. The last thing she expects to see when she stumbles into the bathroom is her best mate Nicola giving birth on the floor. How could she, when Nicola had no idea this was coming either? She’s so not ready to be a mum, and she needs Olivia’s help. But Olivia has her own problems – a controlling boyfriend, Jonty, and lonely little sister Alice for starters. And then there’s their friend Ben, with secrets of his own. This is such a difficult book for me to review because I both loved it and hated it. I raced through it and for the most part I absolutely adored it. It’s unique, it flows brilliantly and I grew to really love each of the characters. They each have their own major flaws and weaknesses but also outstanding qualities that make them all likeable, deep and believable. The Baby has five sections, each told from a different character’s point of view. You never revisit any of the characters, which is something I found particularly refreshing, and it takes just a few pages for you to feel like you know each one of them. Unexpectedly, Jonty’s section was my favourite, and for a long time I really loved where the story was going, which is why I found the very last chapter and the ending really disappointing. For four out of the five sections of this book I thought I’d be giving it five stars, but I feel so gutted to say that the ending left me feeling so frustrated that I’m bumping it down to three. There’s a twist that I did not see coming and really didn’t enjoy, and the ending was so abrupt that you don’t even get all the answers you’re hoping for to make up for it. I won’t spoil it for you by telling you what happens, and I would still recommend reading it if only for the absolutely brilliant first four parts that brought tears to my eyes, but that final section really does let it down. UPDATE: I’ve just found out that The Baby is getting a sequel, and that changes everything. The open ending and all of those questions could still be resolved, so my opinion of this novel has been completely altered. 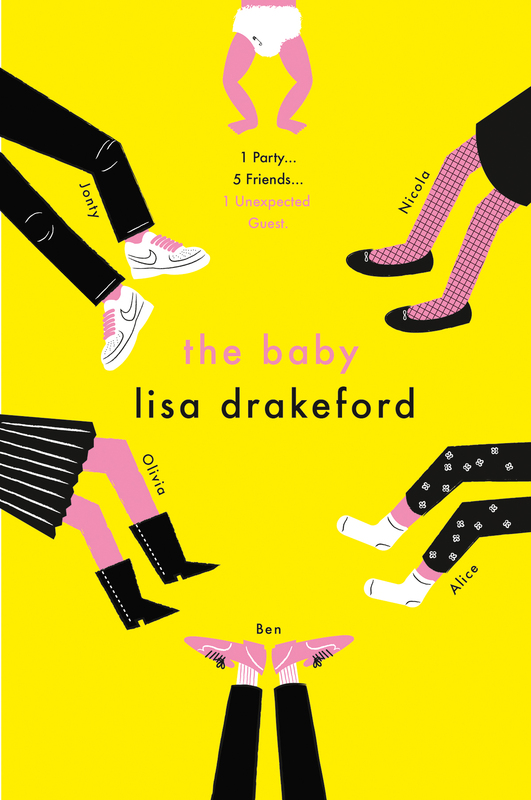 I’m still not keen on the twist but Lisa Drakeford has the potential to make this a great series and as I mentioned before I thoroughly enjoyed the first four sections of this novel, so there’s no doubt in my mind that I’ll be reading its sequel. Phew! Bumping it back up to four now, I think. Can’t wait to find out what happens. Have you read The Baby? I’d love to hear your thoughts and find out how you felt about the ending! Let me know in the comments section below.